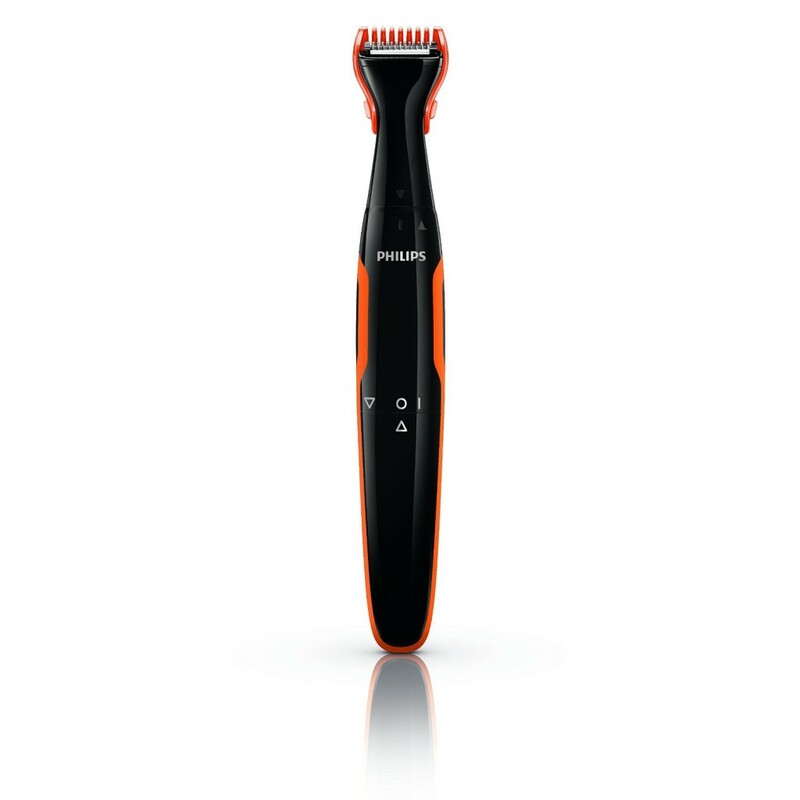 The Philips compact beard trimmer NT9145/11 comes with 3 beard combs to give you a closer and more precise trimming experience that you can’t get with a manual blade. Philips, it is fair to say, are one of the biggest names in the male grooming market along with brands such as Remington and Gillette. Yet again, they have used their experience and know-how to create a a personal grooming tool that stands head and shoulders above a lot of the competition out there. It’s not wise to just buy something based on its brand name though, you want to know it does the job it was intended to do. Therefore, does the Philips compact beard trimmer NT9145/11 actually trim as well as it should? Take a look at the following review to see for yourself. 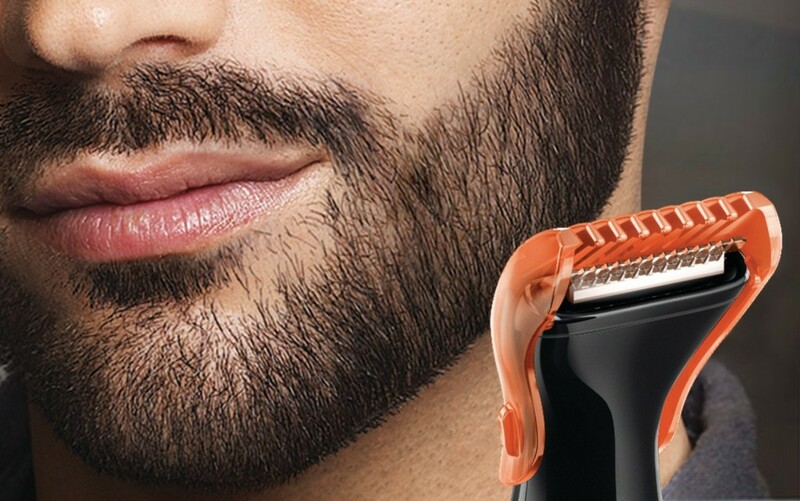 Philips have clearly worked hard to develop and produce a beard trimmer that you can use to shape your facial hair with precision to get the look you want to achieve with as little hassle as possible. It comes with not 1 or 2 combs but 3 for an extra level of versatility. There is a 4 mm, 5 mm and even a 6 mm comb that will help you whether you are trimming and shaping your moustache, beard or close to your ears and hard to reach areas. The addition of the mini foil head, means that you are able to handle any big or small trimming task. Although a large percentage of the male grooming market is taken up by rechargeable items, it doesn’t mean that an item powered by just traditional batteries is no good. The Philips compact beard trimmer NT9145/11 is only powered by two AA batteries, but really that is all it needs to give you the definition and control you need when trimming your beard on the go. The Philips NT9145/11 is a very portable and compactly built trimmer, with user comfort firmly in mind. Thanks to its sleek and smooth soft plastic rubber handle, it never feels uncomfortable using it. As it is also 100% waterproof you can not only use this trimmer in drier environments but also in the bath, shower or even in the rain if you are running late for work. As is customary these days with personal grooming products, this Philips compact beard trimmer has been designed so that it is easy to clean and maintain. As the combs are all detachable and the trimmer itself is completely 100% waterproof as mentioned above, to clean the parts that actually get dirty or clogged with hairs, you just need to hold it under a running tap. The blades have been manufactured so that you will never need to have them re-oiled or re-sharpened. When purchasing anything online, it is always worth taking a look at the online reviews submitted by customers who have used the product. When looking at Amazon for reviews of the Philips compact beard trimmer NT9145/11, it is clear to see that it is a popular item that customers have been satisfied with. It scored a reasonable 4.3 out of 5 stars from 100 reviews submitted. 33 of those were for ratings of 4 out of 5 or more. Although some people were unhappy with just how precise the trimmer was when used on bigger beard thanks to its lightweight design and the size of the guards not being accurate enough; many people had really positive things to say about it. For instance, it never once came into question that Philips have shown their expertise in designing and constructing robust grooming tools and many commented that they were surprised just how close the mini foil shaver could trim, given that it is only 7 mm wide. In summary, it would appear based on the Amazon reviews and product information that Philips have yet again proven why they are a popular brand and why people buy their products more than others. The fact that the device packs a punch beyond it’s lightweight build and size and that it comes with 3 different sized combs, albeit wrongly measured, to give you precise contouring for achieving the look you desire; makes this a very attractive trimmer. Importantly, you get the expertise that Philips bring to their products at a very competitive and reasonable price. So if you are in the market for a cheap grooming tool that does what it says on the tin, the Philips compact beard trimmer NT9145/11 with it is 3 different combs is something you should give serious consideration to.